Centrally inserted, double lumen central venous catheter. For administration of hyperosmolar solutions, measuring CVP, haemodialysis, plasmapheresis, rapid infusion of fluid among other uses. 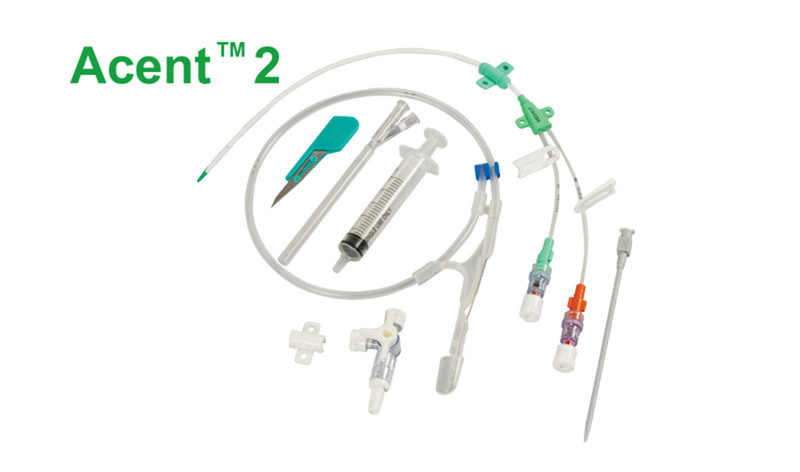 Acent provides the benefit of polyurethane catheter which is soft, kink resistant, extremely biocompatible with excellent wear properties and elastic memory. Two separate non-communicating vascular access lumens within a single catheter body. Distal lumen for CVP monitoring, blood administration and medication. Exit ports of individual lumens are separated by appropriate distance in proportion to the catheter’s French size.